Disneyland's Jungle Cruise inspired me to create these metal signs that are hand painted and then shot up with real guns to give them that authentic look. This also makes each sign unique. Each sign is approx. 12x8. 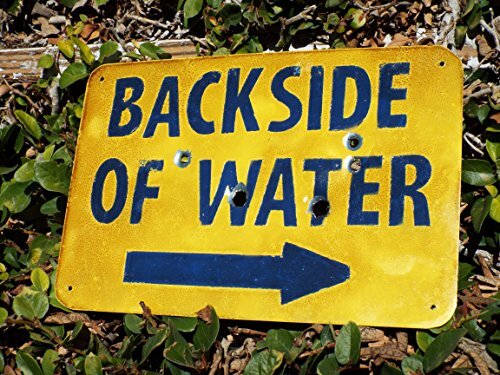 This sign is perfect for your backyard pool or tiki themed patio. Warning: although the signs are sanded there still may be sharp edges. Everything that Dr. Skipper sells is guaranteed to be 100% awesome. If you have any questions about this product by Dr. Skipper's Jungle Hut, contact us by completing and submitting the form below. If you are looking for a specif part number, please include it with your message.